Abby here. A few things…Pardon the boring title, and I’m not against regular yogurt at all. In fact, we eat in often. 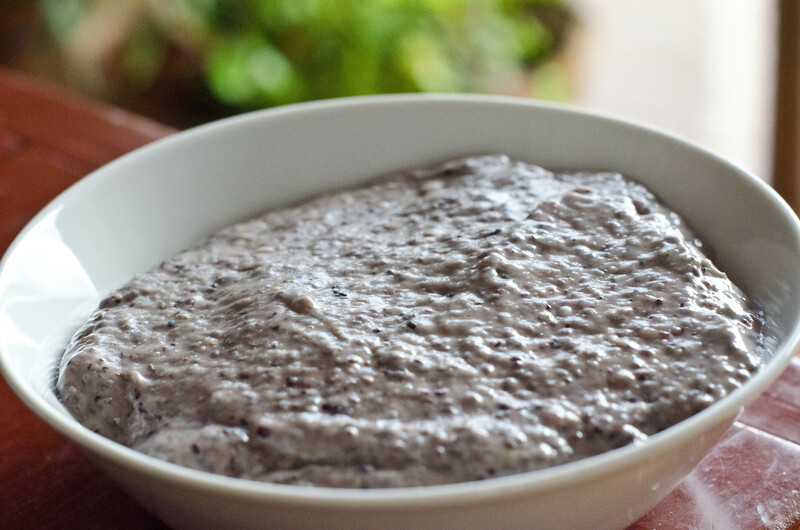 This recipe is something that I threw together one day when I wanted my kids to get some healthy fats, and it ended up with a gummy, yogurt texture. I am always making concoctions of random things for my kids to eat, and overall they are pretty good sports about it. Regarding this recipe, its not super sweet. You may need to add a little extra honey or even pure maple syrup if you or your kids are used to store bought sweetened yogurt. 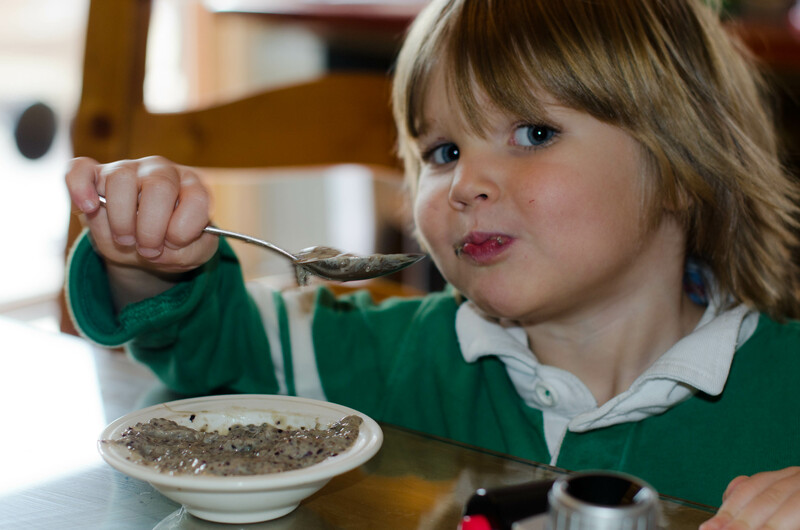 I’m a huge fan of chai seeds (tons on omega 3’s and antioxidants) and I love having one more way to incorporate them into my kid’s diet. 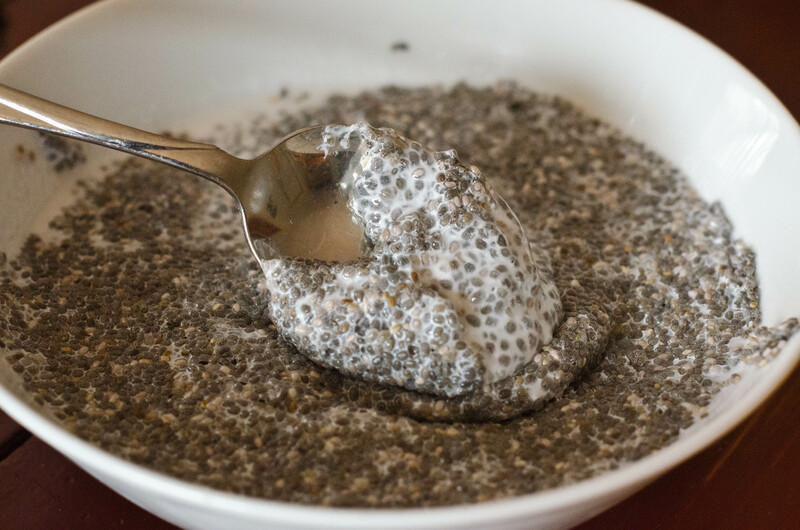 Start by mixing 1 cup of coconut milk and chia seeds in a bowl. Most of the chia seeds will remain at the top and that is just fine. Cover and refrigerate for at least 30 minutes, but up to an entire day. After your coconut/chia mixture has gelled, put it in a food processor. 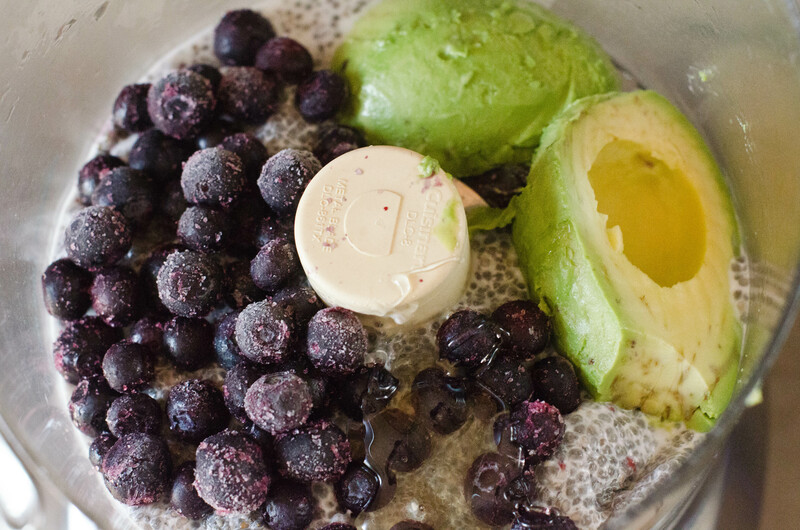 Add the additional 1/4 cup coconut milk, avocado, blueberries and honey and blend well. Abby I love chia seeds and always wondered how I could get them into Connor. We put them in our morning shakes. He loves avocado! I can’t wait to try this!